Premiering on 23 October, the film celebrates the rise of the band through their iconic songs and revolutionary sound. The key task for the team behind the soundtrack was sourcing the most suitable versions of the band’s songs, especially live performances to create a soundtrack album to stand on its own and underscore key moments in the screenplay. The album features live tracks and new versions of old favourites, including some of their biggest hits and 11 all-time anthems that reached #1 around the world. 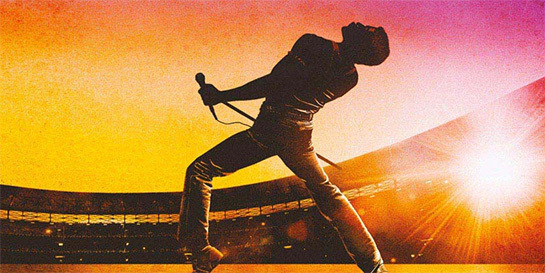 Tracks from Queen's legendary performance at the historic Live Aid concert in 1985 are being released for the first time, among other rare gems from the band’s catalogue. Virgin EMI officially announced the track listing on September 5, to coincide with what would have been Freddie Mercury’s 72nd birthday. With record sales estimated at 300m and counting, Queen remain rock favourites whose catalogue of songs continues to thrill fans of all ages.